Infrastructure as a Service (IaaS) is described as an automated and digital computing infrastructure managed over the Internet and provided by a third-party. It includes facilities like storage, servers, operating systems, middleware, applications, security etc. The more the world becomes digitized and organizations move towards an automated business structure, the more Cloud computing advances as a technology. With enterprises always competing in being progressive and be more technologically advanced, Cloud computing modules such as IaaS are being integrated quickly. Companies have a harder time if they install physical servers, data centers, and other resources while IaaS allows for scalability, affordability, and efficiency. By deploying IaaS in your company, you can save the expensive costs of maintaining and installing hardware and software that you can just purchase over Cloud and use it only as much as you need for as long as you need to. IaaS comes with the promise of scalability which allows you to use the software according to your needs and not have to pay for any unnecessary wastage. That would save you money and time that you can then spend on focusing on your business and making it grow. IaaS is especially beneficial for when small businesses require highly sophisticated IT resources but do not have the budget to support those requirements. IaaS providers give the option of choosing scalable resources that you use as per your needs and pay only for however much you used. IaaS is also beneficial for those organizations that do not have a constant stream of similar workload. If the workload gets increased temporarily then you can take advantage of IaaS because you pay for only the volume of services you used. There are also options to pay hourly, monthly or annually. These are not binding contracts so you can stop using the services whenever you want. IaaS is also beneficial because it offers the option of availability. Since the software or program you are using is dependent on your browser and Internet connection, it allows users to run it from any part of the world. Your employees or workers can use IaaS through their tablets or laptops while being miles away. These services are also available 24/7 because clients could require it at any moment of the day or week. That poses a benefit for your corporation as it helps keep the work going without any breaks or stops. Infrastructure as a Service is one of the best ways for organizations to work and make their business agile or progressive. It is essential for an enterprise to remain flexible and updated according to the latest technology in current times otherwise consumers would move on to better and more efficient providers. There are many ways that IaaS can help make an organization grow and prosper. Utilizing the technology intelligently and efficiently would earn you success. There are many sectors and aspects that IaaS can be integrated into of an organization such as testing and developing new applications quicker. Web hosting becomes cheaper because traditional web hosting methods are more expensive than IaaS. With storage needs increasing in demand every day, IaaS provides a cheaper and convenient option for data storage and backup. Web applications can also be easily deployed using IaaS and scaling them according to your requirements is even simpler. IaaS can also be deployed for more complex systems for high-performance computing that involve big data and supercomputers. IaaS also provides analysis of such big data sets to weed out and examine the patterns hidden underneath the layers of information. 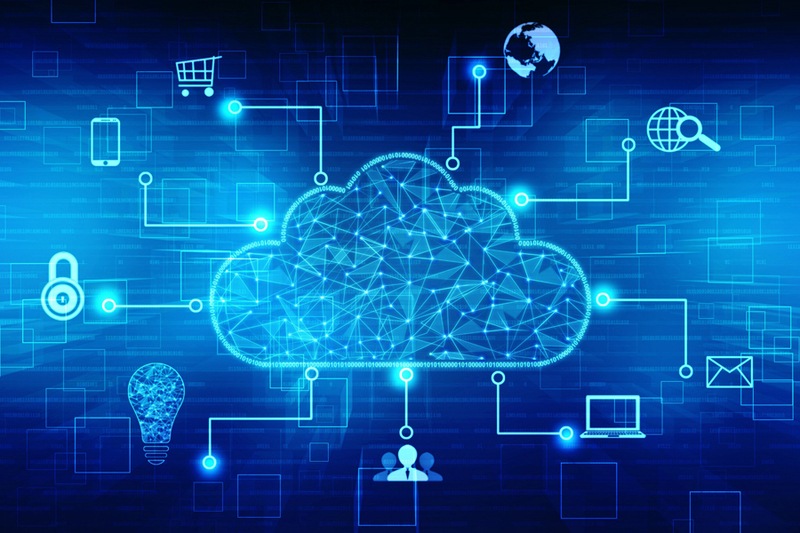 Any Cloud computing module poses different kinds of benefits but when it comes to Infrastructure as a Service the pros outweigh the cons by a considerable margin. Integrating IaaS in your organization would not only help your business grow but also make your workforce more efficient and produce more excellent results. To help businesses understand how beneficial it can be to use the Infrastructure as a Service module, we have compiled the most prominent advantages that would help you see its potential. Innovation is the key to success and as long as your enterprise is churning out new and innovative product, you will keep succeeding. But after you have come up with the idea to develop something new it can take months or days to install the necessary computing infrastructure needed to develop it. What IaaS can help you with is decreasing the amount of time and effort it takes to do that. Through IaaS, you can find the precise software and programs you need to create that product. Your team would only have to focus on the product itself and nothing else as it would all be handled by the provider. In the cases of an intense power outage or a disaster, the data that gets lost can be hard to recover. There are many firms who handle it but it costs too much money or takes too long. IaaS can make sure your work never stops or that your data is recovered in a much easier and affordable way. Since your team would not have to worry about or waste time installing the appropriate infrastructure needed to develop an application, you can work faster and release it to the consumers quicker. This would make sure your customers do not lose interest in your brand and remain engaged. Since IaaS eliminates the need for a physical data center, it saves the expenses of on-site installation and maintenance. Any hardware or software you require, including storage, can be provided by IaaS providers which will save any corporation a large amount of money especially startups or small-scale ones. They can spend that money on development and creation of their applications. IaaS allows you to scale the resources you are deploying according to the needs of your business. You can increase the amount of volume being used if there is an increase in demand. Or you can scale it down if the business is unusually slow and not have to pay for any bit you are not using. Securing your data and applications using highly sophisticated methods can be expensive if being deployed physically. IaaS provides a similar level of, if not higher, security for your data and applications. That means you do not have to shell out a ridiculous amount of money and can take advantage of exceptional security measures at economical prices.